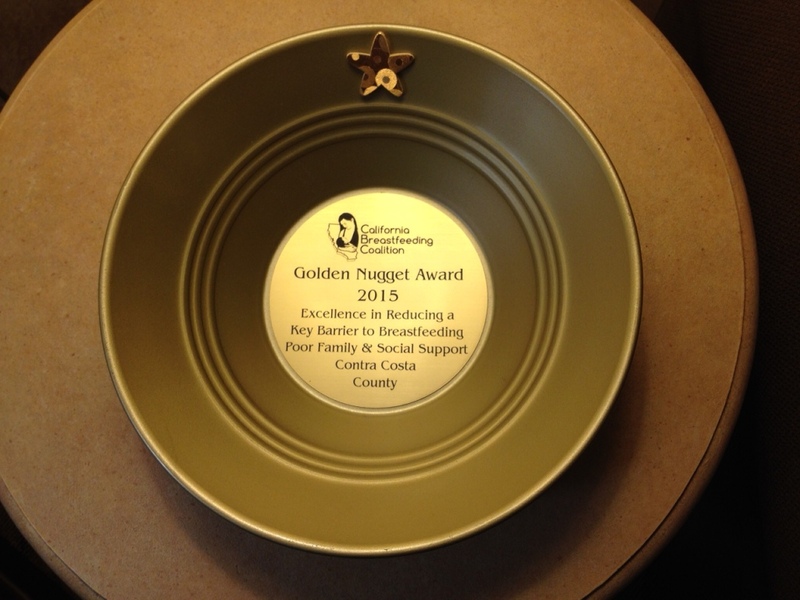 We’re so honored to have received the “2015 Golden Nugget Award for Excellence in Reducing a Key Barrier to Breastfeeding: Poor Family and Social Support” from the California Breastfeeding Coalition. This award is in recognition of the Breastfeeding Peer-Support Training we offered last summer for promotoras in the Monument Community of Concord. The training was made possible through collaboration with our partners and Monument Impact and Contra Costa WIC, and through funding provided by the Kaiser Permanente HEAL Zone Initiative. Read more about the training here. Give to HAB45 through East Bay Gives on May 5th!